The interior of a car is very important. We like to explain this to our customers when they are searching for parts in their interiors. When you think about it, where do you spend most time in when using your car? Let's take it a step further, what are you constantly touching or looking at when you are using your car? Yes thats right, your interior, steering wheel, shifter, pedals and more. This is why is very important to have high quality parts for your interior. Not only will it be safer for your, but those are elements that you are constantly in contact with. This is why we only chose the best for our interior and will be updating it step by step.Lets keep in mind that this a street car that will be used for drifing and occasional grip track days. The main advantage of the BRIDE Zeta III XL is that it fits better the average European waist. Jesse being close to 2 meters tall doesn't fit in regular Bride seats. This is why he chose the XL version. 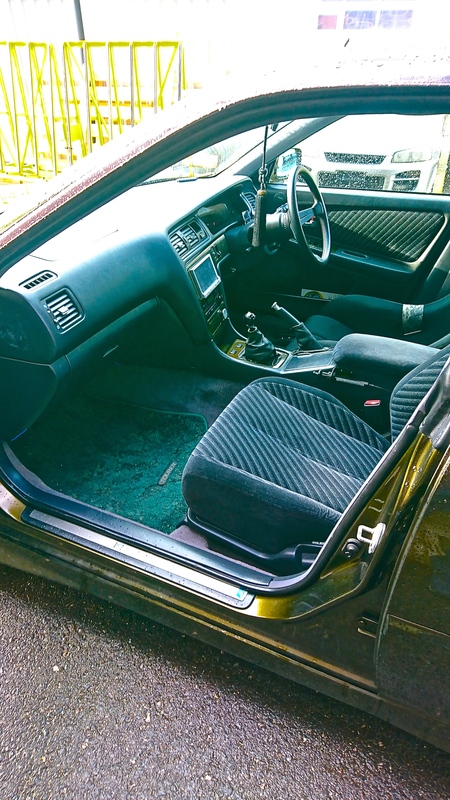 You might have noticed, this seat has been installed in various cars such as our Nissan Skyline ER34 demo car or the Toyota Corolla AE86 that was our first demo car. The Seat is out of FRP with a sparkling grey rear cover. Of course, it includes FIA homologations, so it can be used in official Racing. Interestingly, as mentioned previously, this seat has already been used in 3 different cars. Each time, only a seat rail had to be purchased in order to re-use it in different cars. This makes installations very easy. As you can see, even after a few years of use, the quality of the product is surprisingly keeping up to expectations. Now lets get back to the Toyota Chaser JZX100 Exectutive demo-car. For Swiss readers, have you ever seen the interior of a JZX100? As you can see, the interior may be "old-school" but it has lots of room for passengers. 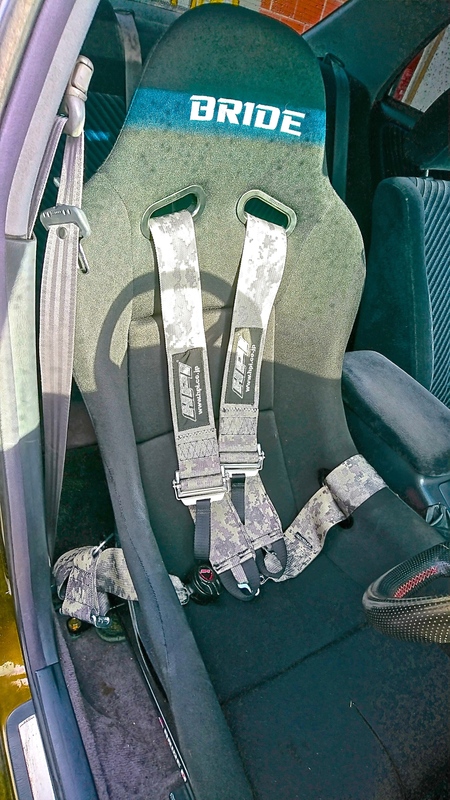 What do you guys think of the Urban Camouflage Racing harnesses by HPI Japan? We love this color combo combined with the interior color and the color of the BRIDE ZETA III XL Racing Seat. The final result is rather satisfiying with the Nardi steering Wheel with perforated lether in 350mm. What do you guys think? This brings this episode of the interior to an end. Do not hesitate to post a comment and/or share this article and follow us on social media. Was the seat rail and seat combo 100% plug and play? 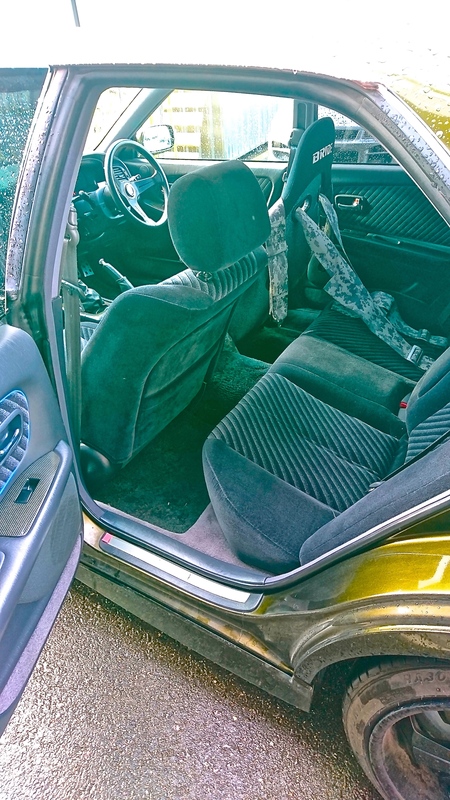 For What cars do you have seat rails for? Hello Max! Thanks for your comment! Yes it's 100% plug and play. Even the seat belt buckles bolt on directly. The only thing you need to take care of are Airbag canceling, if you have airbags in your seats. 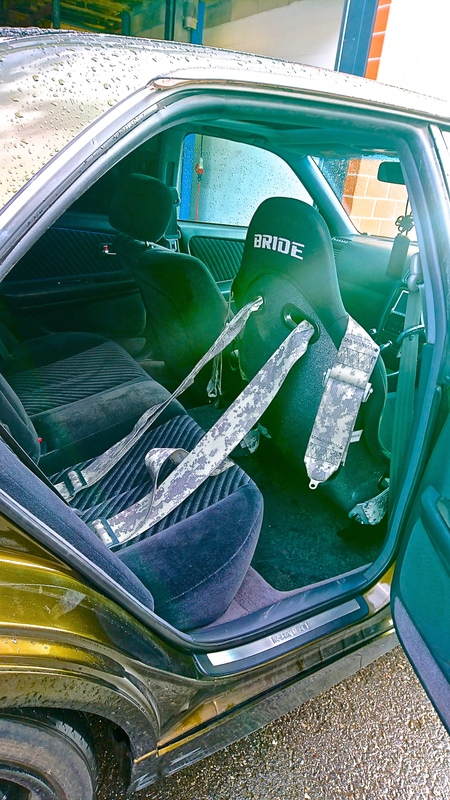 If you want to check which cars have seat rails available for the Bride Zeta III XL type seat, check this link: http://hanshin.ch/interior-safety/616-bride-seat-rail-xl-type.html Good luck!